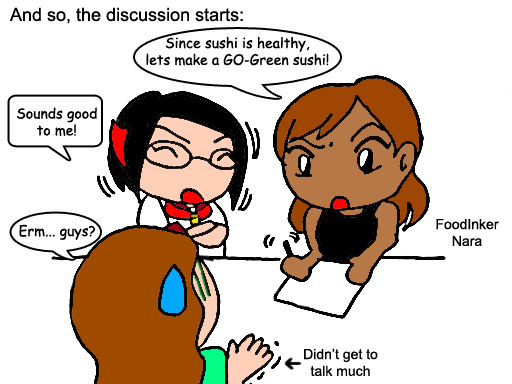 I know we are not a sushi master, so we probably won't enjoy our own customize sushi. But what if, your customize sushi turns out to be good, too? Two weeks ago I'd the privilege to participate a food review session with the Food Inkers, at Okonomi. Okonomi has just recently launched a new menu so we were invited to taste their new sets of food on that day itself. To be honestly speaking, I'm really excited about this session. I've been hearing good reviews about Okonomi. Moreover, it's Japanese food omgggggg! 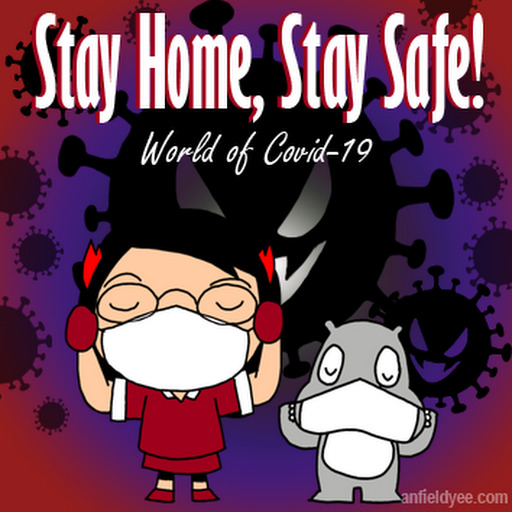 So what's in Okonomi? What's its special? What’s your roll? If this is the first time you have heard about this line, we do not blame you. Perhaps you have seen lots of post about these beautiful customized sushi roll and mouth watering Matcha desserts at your Instagram and Facebook. 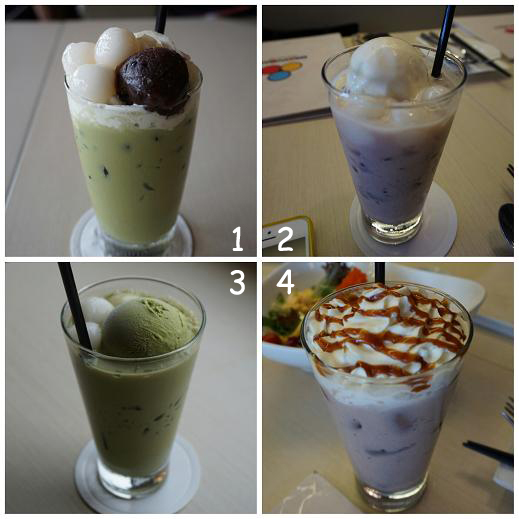 All these comes from a same restaurant – Okonomi in Publika, which is also the first and only in Malaysia at the moment. Being open to the public just 6 months in the market and it has gain lots of positive reviews and wonderful feedback on social media. Okonomi strives to create something different by giving more options. They serve mainly Japanese fusion menu highlighting the customized Maki rolls. From a choice of 40 different fillings, 20 types of sauces and dressings as well as 16 different toppings, you can make your own Maki roll according to your liking. Even if you failed to make up your mind, Okonomi also offers house rolls created by the chef. Other than the Maki rolls, their salads, rice, and pasta also receive positive feedback from their customers. They have wide range of ice cream, parfaits, waffles and lava cakes. Their star product is the Matcha lava cake. They even make their own soft serve ice cream that is irresistibly good. Love how crispy and smooth their prawn is! Their squids were cooked very chewy!! This is my favourite! I absolutely love their cute little cubes!! Put that sushi all inside your mouth, you can taste how smooth their surface is within a second. Succulent prawns, mangoes and Japanese cucumber topped with tobiko & a mango salad dressing served over mixed greens & cherry tomatoes. Okonomi must be good at cooking their prawns! This is their second prawn related dish and it's so smooth! Their mangos were just right, not too hard and not too sweet/sour. Make sure you pour the dressings in! Fresh grilled unagi served with a teriyaki glaze. Deep fried tempura battered prawns with a teriyaki glaze, carrots and onions garnished with spring onions. This probably my least favourite but still, it's not bad! At first I thought their lava was too sweet. As I took it with the cake, I understand why patrons keep come back for their Matcha Lava Cake. Not only it's special, the cake were soft so it will melt instantly with the lava inside your mouth. My advice is to share it with a group of 2-3 because it will makes you full instantly! We also tried their Chocolate Lava Cake because it was too good! 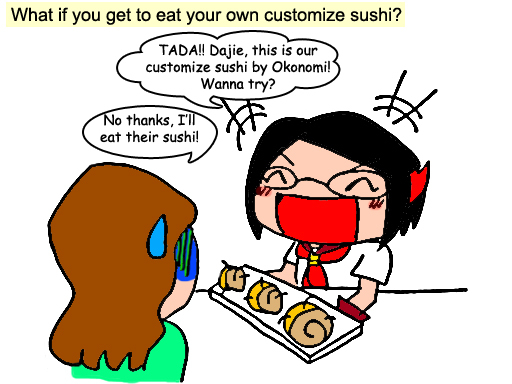 As mentioned above, you got the chance to customize your own sushi/roll. All you need to do is to get this piece of paper, tick what you want and Okonomi will done the rest! 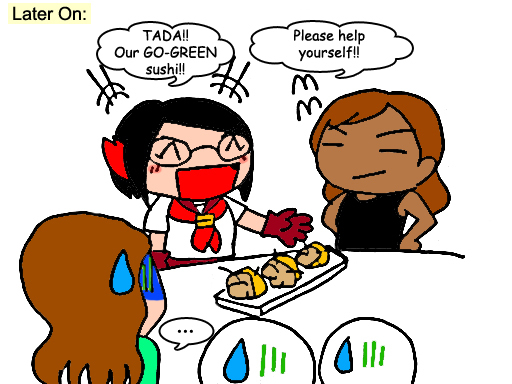 The chef will give some advice to you on making your customize sushi/roll even better! This is our group's customize sushi. It was supposed to be green but the chef gave us some tips and we gladly obliged. We were glad that we listened to him as it turns out pretty well! Erm, not sure what they got here. The dish that closely resembled ours sushi. The most spicies sushi on the table (they put chili flakes on top). They call it nasi lemak sushi! Okonomi caters for hipster youngster who seeking for different kinds of sushi / roll on their plate. If you are bored with sushi prepared by the chef, come experience with Okonomi! Chef Recommended: Create your own sushi roll! Thanks dear!! 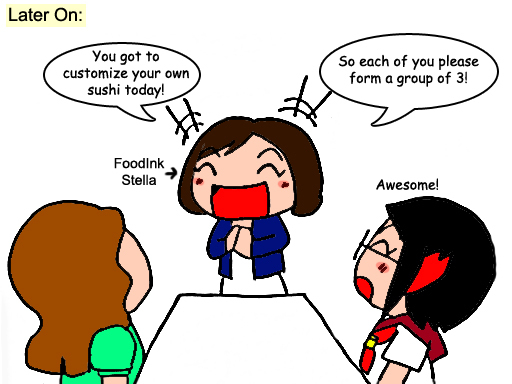 ^^ Haha, I'm good at expressing myself in comic way, so I make my life "more difficult" by doing this lol. So anyone can just go in to make their own sushi or it's just a one off thing? I first time to hear about them can do what sushi u want to decide... Good, delicious desserts? :D My Deaf friend and I will try there! 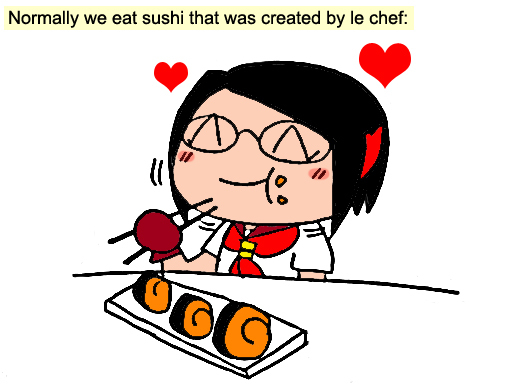 How wonderful that you get to make your own sushi. 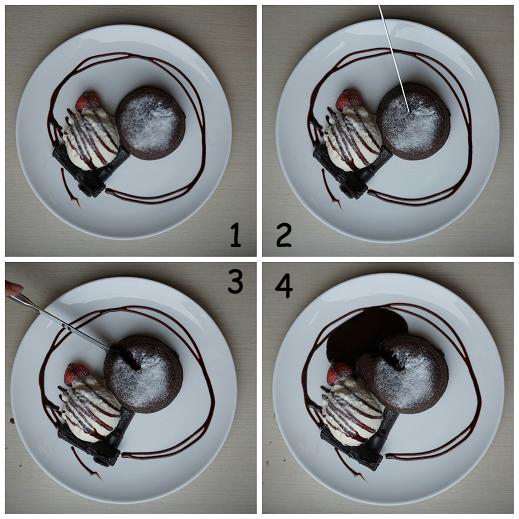 By the way, the Chocolate Lava Cake looks sinful! I always go to Publika but don't know got such a nice restaurant with great food. Will definitely check this out. i've been here before. and i love their dishes! so unique and special, and yummy! everything looks delicious, and the drinks wow! Gonna tell my friends of this place too. Omg! Customized sushi? Sign me up please! It looks so interesting! Have to try them out!!! Nasi Lemak Sushi! Is it combination from Japan and Malaysia? hahahaha! Quite unique on their dishes! Such an interesting place! haha. the nasi lemak sushi definitely made me giggled. LOL nasi lemak sushi.. very creative ah.. How did your sushi taste like? loving all the dishes created! the unagi is so big piece, some more with pasta that is so special. I pass by that day see this restaurant with lots of crowd.. Must be very yummy! I my! The little animations are so kawaii! Anyway, love how the food look so amazing! The nasi lemak sushi is intriguing! I love sushi. I love Okonomi in Publika Restaurant!